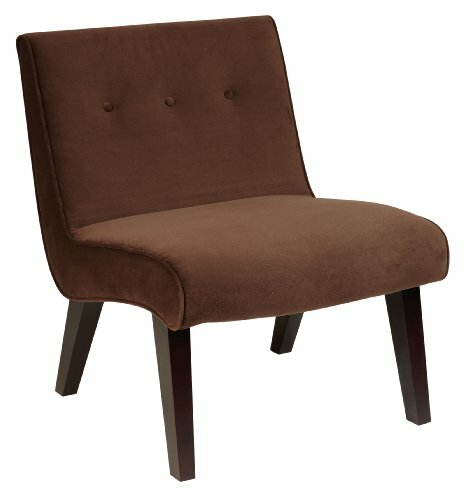 Curves Valencia accent chair in chocolate velvet. Covered in high performance, easy care fabric. Available in chocolate velvet -C12, coffee velvet -C27 and Oyster velvet -x12. Solid wood legs for durability. If you have any questions about this product by Avenue Six, contact us by completing and submitting the form below. If you are looking for a specif part number, please include it with your message.